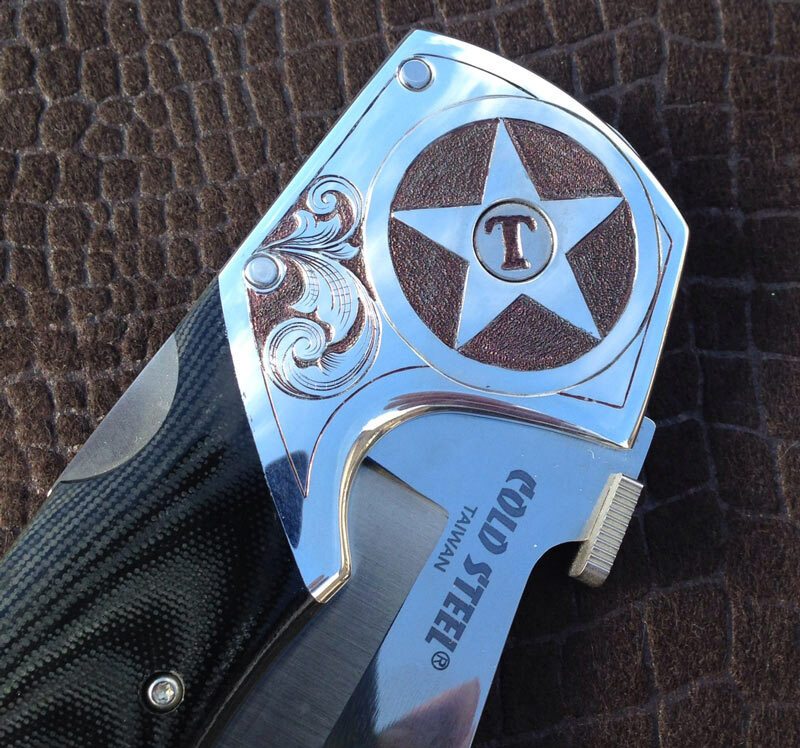 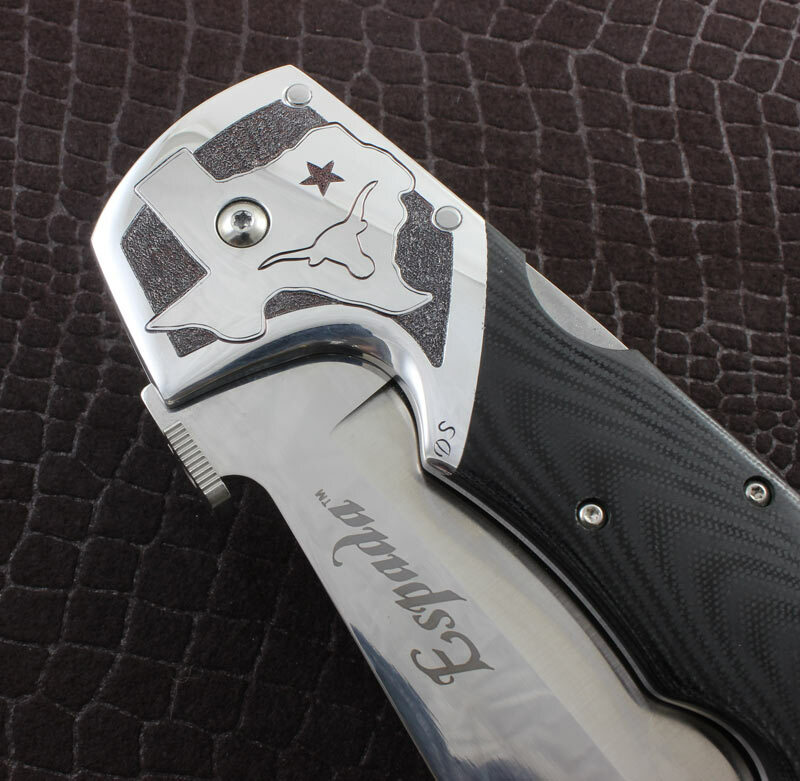 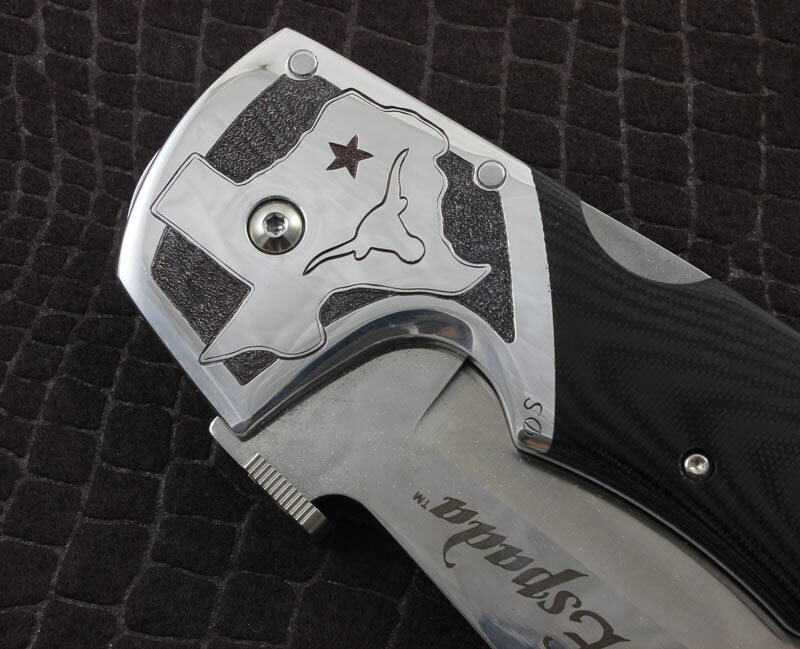 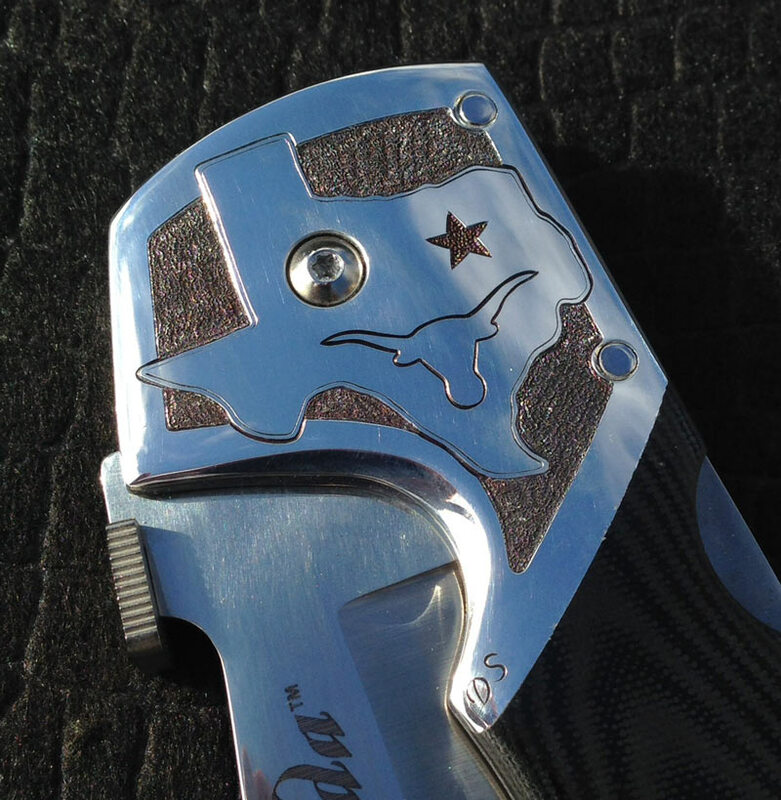 I was asked to hand engrave this Cold Steel Espada XL folding knife and give it a Texas theme. 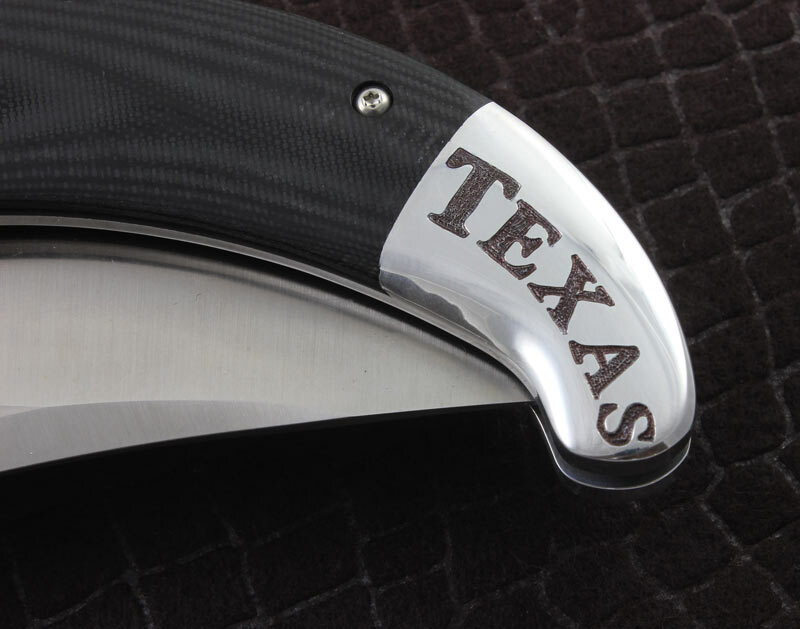 After several design ideas went into the wastebasket, I finally decided the Texas state map would fit nicely on the front side and the Texas Lone Star would work well on the backside. 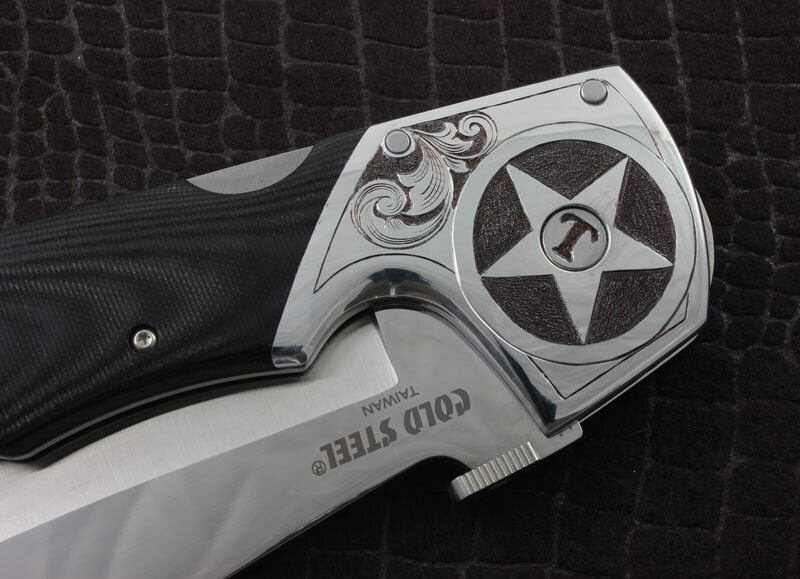 The bolsters are made from an excellent grade of 7075 Aluminum and were a pleasure to engrave. 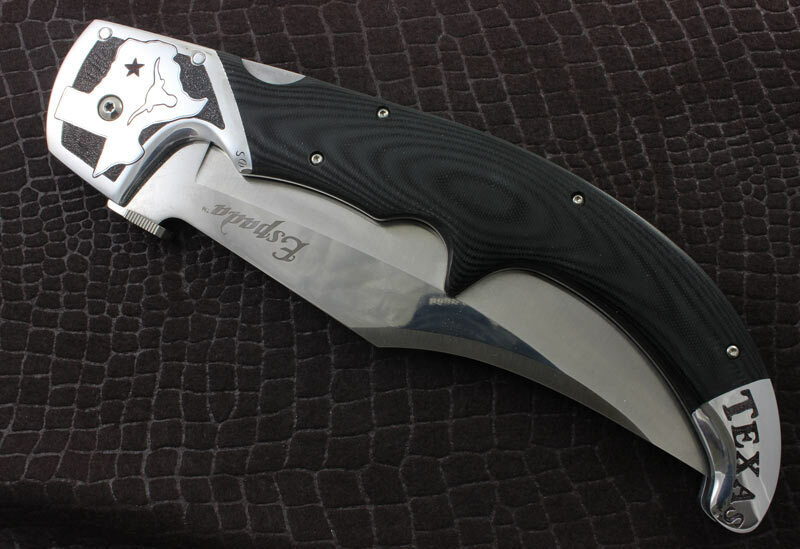 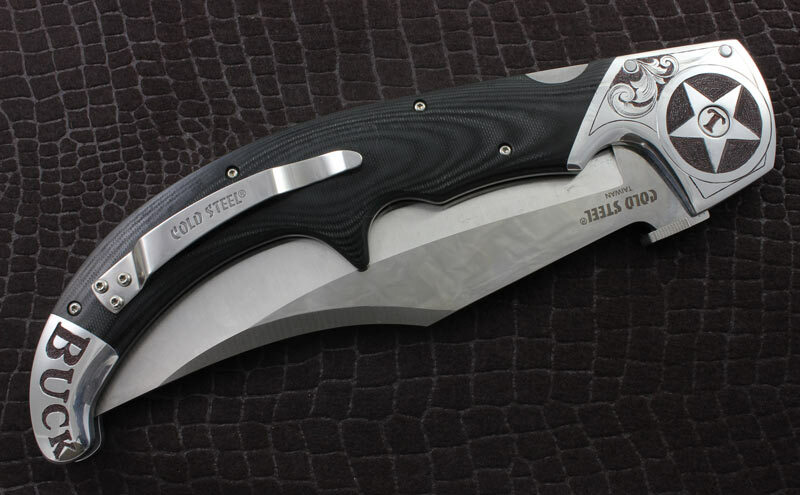 The deep relief hand engraving style adds richness to an already nicely made knife. 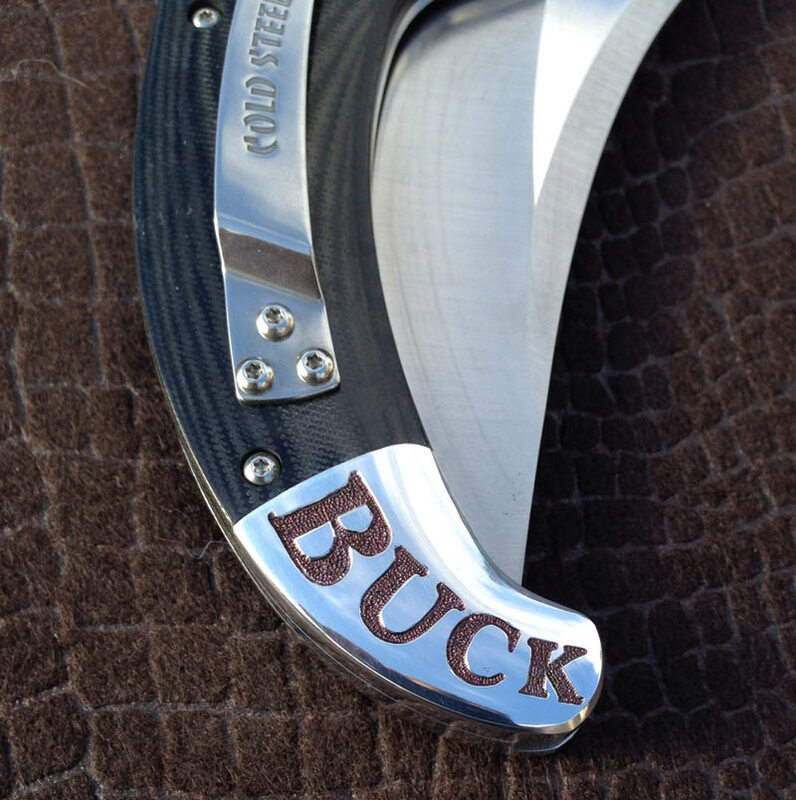 My customer gave this knife as a gift to his good friend Buck.